Just a couple years back, who would have thought Dell would produce the laptop to beat? Dell has always been successful, but hasn't always been known for building top-quality products. That all changed in 2015 with the release of the ultra-thin Dell XPS 13, a laptop that was the first to fit a 13.3-inch screen on a chassis usually reserved for an 11.6-inch screen. Unlike the MacBook Pro or MacBook Air, Dell's ultraportable laptop had a touchscreen and a 3200 x 1800 pixel resolution screen. Still, 2015's XPS 13, released originally with Windows 8, had some problems. For one thing, the trackpad was only what can be described as a monster. Sometimes it worked, sometimes it didn't, and at times, using it made you want to throw the XPS 13 against a wall. The screen also looked like somebody poured grease underneath. The coating of a touchscreen can always look somewhat messy, but 2015's XPS 13 took the prize for the worst screen coating ever. Then, at the end of 2015, Dell turned the XPS 13 into something that resembled a masterpiece. In 2016, they have made that masterpiece better by releasing an Intel Core i7 version with Intel Iris graphics. 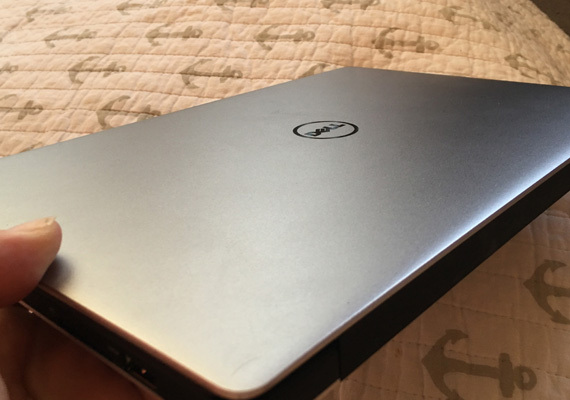 This is the version of the Dell XPS which is used for the purposes of this review. The new version of the XPS 13 can be purchased for $1499 and it is completely worth the price - even though it is $200 more than the 2015 version. Besides getting 8GB of RAM, which is all 99 percent of laptop users really need, you also get a 256GB solid state drive. The Intel Core i7 processor runs at 2.20GHz with Turbo Boost up to 3.1GHz if you really need it. The updated screen, which doesn't have the appearance of grease spread around, is one of the most beautiful that has ever been seen on a laptop. It still has the 3200 x 1800 pixel resolution (which is more than you need for a 13-inch laptop), but the colors pop out more than they do on previous versions of the Dell XPS 13. The brightness levels have also improved, although the more you turn up the brightness, the less battery life you have. If you are a chronic Skype user and are planning on using the Dell XPS 13 as your primary video chat device, you should be aware that in order to keep the bezel around the screen as small as possible, Dell put their webcam on the lower-left side. If you are sensitive about your double chin or turkey-like neck, you may want to use your smartphone or tablet for video conferencing instead. Dell's keyboard isn't the best, but it isn't the worst either. In order to keep the device portable, the keys are close together and the key travel is shorter than usual. However, there is still a nice bounce feeling when pressing on the keys, and after working for a day on the XPS 13, I was able to type just as fast as I can on 13-inch MacBook Pro Retina, which contains my favorite keyboard. Dell's touchpad feels slippery, but in a good way. It's as if Dell tried to make up for their previous touchpads being too insensitive by building one that is extra sensitive. It's not as good as a MacBook Pro or MacBook Air touchpad, but it is the best one available on a Windows 10 laptop right now. One can easily configure the touchpad settings to meet their needs. The performance on this version of the XPS 13 is top-notch. I was able to edit high definition video clips using Cyberlink PowerDirector just as fast as I have been able to do on the 13-inch MacBook Pro Retina using Final Cut Pro. Both Adobe Photoshop and Adobe Illustrator work perfectly on the XPS 13, which is a perfect portable notebook for a graphic designer. The battery life on the updated XPS 13 is good, but not great. With the brightness level set to 75 percent, I was able to get six-and-a-half hours of streaming videos from Netflix over and over. The normal user will get seven to eight hours of use. However, the battery life on the XPS 13 easily outdoes that of the Surface Pro 4, Surface Book, and even Samsung's Notebook 9 Spin. Some power users who want a portable notebook may be tempted to go with the MacBook Pro 13-inch Retina, since it is the most popular. They may even choose a Surface Pro 4 or even the Surface Book. 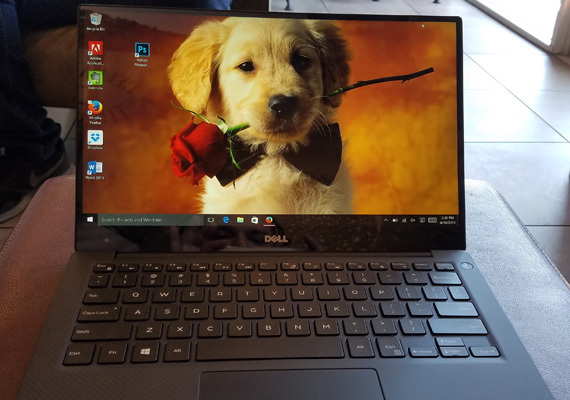 However, the Dell XPS 13 really is the best choice for an ultraportable notebook with top specs and even though the higher-end version costs $1499, you will never regret spending your money on what is perhaps the best ultraportable notebook ever made.